Spring is perfect for playing tug-o-war with your pooch. Ah, Spring! Flowers, growing grass, warming temperatures, clearing skies and best of all, time to play! That’s a dog’s view of the coming season. 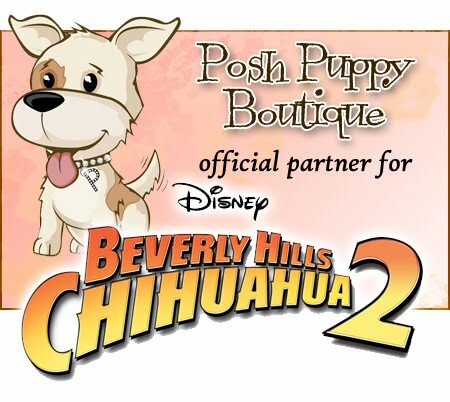 We also have fun, fashion and faux paws in our hearts here at the Posh Puppy Boutique. Many dogs have fun playing tug-o-war with their favorite humans and we have just the toys for them. For example, our Blue Tennis Ball and Rope Toy ($17) is great for bigger dogs. The non-toxic 6-inch tennis ball lets them chomp and get a great grip. The braided rope helps clean their teeth. And the rope handle works great for both tuggers and for hurling the ball farther. This toy is designed for big dogs only. Our double-sided Flower Power Leather Rope Toy ($17) has a leather flower—blue on one side, pink on the other—with rope at both ends. It’s great for chewing and tugging by either one dog and a hooman or two dogs. All dyes are eco-tested and colorfast. The Rip ‘n Tug Octopus Toy ($19) comes in both small and medium sizes. It has a built-in treat pouch, gripable designs at one end for one larger or two smaller dogs, plus a handle at the other. Fun is great, but so is fashion, especially when it’s walk or nap time. We have many spring dog dresses to pick from, including this one from "Beverly Hills Chihuahua." Take your favorite little girl out for an eye-popping walk in one our many spring dresses. Our Pink and Green Striped Harness Dress with Visor ($40) appeared in the Disney movie “Beverly Hills Chihuahua.” It has lime green and pink stripes with embroidered matching flowers and lace trim plus a wide pink band around the belly. It comes with a matching visor cap designed to go over dog ears. Sizes range from double extra small to triple extra large. Our Bright Flowers in Spring Dress ($40) is handmade using a Spring floral fabric. It is accented with a double layer pink bow at the waist. It also has Velcro ® closures at the neck and chest. Sizes range from double extra small to medium. Check out our wide assortment of new pet pajamas for your puppy pals. Our Houndstooth Pajamas in Tan ($50) are made with cozy fleece to keep your puppy warm on cold nights. Your measurements determine the size. Go with a Spring look for your pet PJs using our Couture White Faux Fur Flower Pajamas ($60). Available in sizes from extra small to large, these PJs are made with a white ultra cuddle fabric covered in a multi-colored floral print. The collar and leg cuffs have matching white faux fur trim. These same pajamas are available in Blue Dots ($60) and Blue Puppy ($60) patterns. 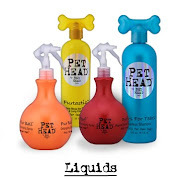 These are just a few of the many toys, clothing items and other products available at the top choice for couture pet clothing and accessories, the Posh Puppy Boutique. Call us at 888-837-5230 with any questions, including sizing questions. Be sure to follow us on Facebook.